Our experienced sales staff is eager to share its knowledge and enthusiasm with you. We encourage you to browse our online inventory, schedule a test drive, and investigate financing options. 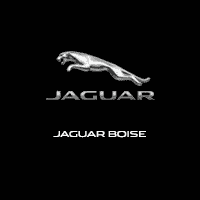 You can also request more information about a vehicle using our online form or by calling 208-377-3900. If you don’t see a particular vehicle, contact us! We will gladly inform you when a matching car arrives. If you’d like to see a vehicle in person please stop by our dealership at 7805 West Gratz Drive, Boise, ID. We look forward to serving you! You’re a Smart Shopper! You know what it takes to find a great deal on a New Car or quality Used Car. Whether you’re looking for the perfect new vehicle or a great deal on a Low Price Car or Low Mileage Car, you can be in-control as you use the Car Shopping Tools on this website to find the vehicle you want! Plus, you can check out the Current Online Specials and Promotions that change all the time! To visit our dealership, check our Map and Location and Department Hours – we would like to meet you in person and help you with your car ownership needs. Our dealership is conveniently located and worth the drive.